And now back to our regularly scheduled programming. I have been so busy making Christmas garlands (and a couple of new recipes for vegan sweets - to be posted shortly) that I haven't kept up my What I Ate Wednesday duties. But today's the day! I'm going to play catch-up by showing you a few pics from the last couple of weeks. In a vegetarian/vegan household, we have come to rely on certain trusty grocery products that we know and love. In busy times (and when is it not busy?) it's great to have healthy, store-bought products at the ready to help you make a quick meal or snack without sacrificing good nutrition. I thought I would share a look at some of these items today. Plus, we have also sampled a couple of new products lately that I want to tell you about. 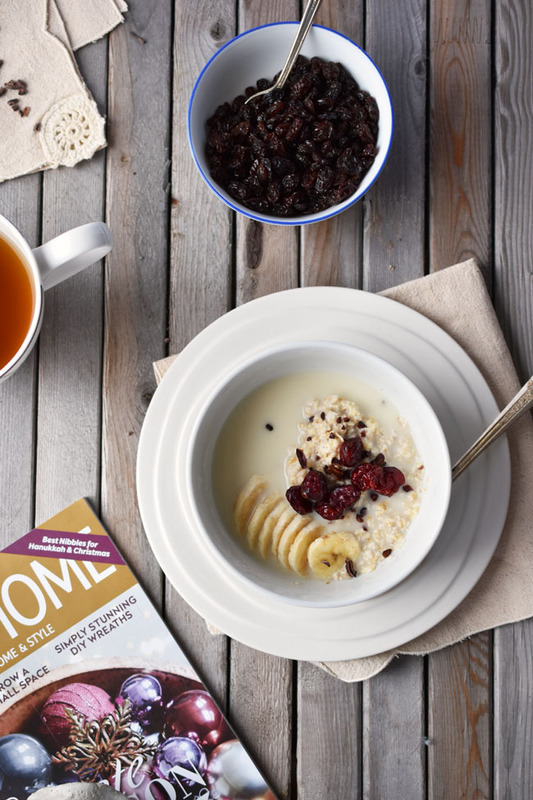 Likely some of our grocery favourites are your favourites too! With my brain barely functioning some mornings, all I can think to prepare is peanut butter and jam on toast. On a recent visit to the health food store, my daughter reminded me that they have a machine to grind fresh peanuts into peanut butter. I sometimes forget about that option, but she and I enjoy peanut butter with no additives. I buy two different types of jam, depending on what's on sale. This President's Choice Organics jam, above (excuse the messy jar) or Crofter's Organic jams. Both great organic options. I don't drink coffee that often, but when I do it's decaf and I rely on So Delicious dairy free coconut creamer to flavour it/lighten it up. I like soymilk for cereal and so on, but I cannot stand the way it tastes in coffee and tea. 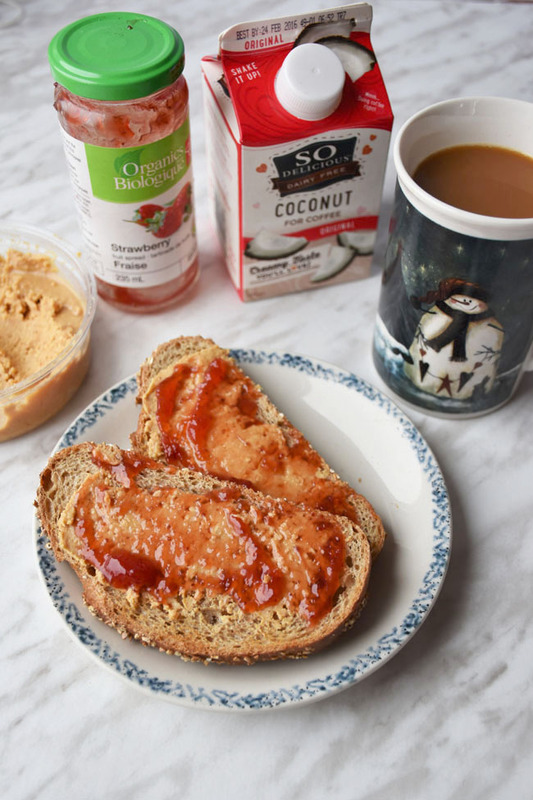 This coconut creamer is perfect in texture and taste. I need to shut up about Gardein really. 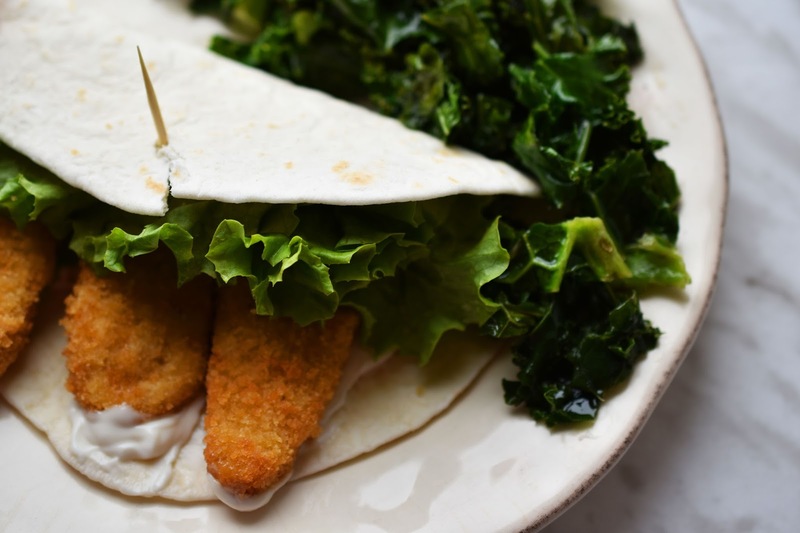 But I can't help it - Gardein's faux meat options are so delicious and have a great texture. I have taken to buying nuggets and cutlets in big boxes...pretty much every week. If you have a store that sells President's Choice in your area (like a Real Canadian Superstore or No Frills) check out the frozen meat section for President's Choice Blue Menu meatless options. If you look on the back of the box, some of them are actually made by Gardein. That's a big yay, because you can buy bigger boxes at a better price. On another recent trip to the health food store I met a very nice man handing out samples of Guru Indian Sauces. This authentic line of Indian sauces is made with cryogenic ground spices and natural, wholesome ingredients. The sauces are low in fat, with less sodium than other brands. 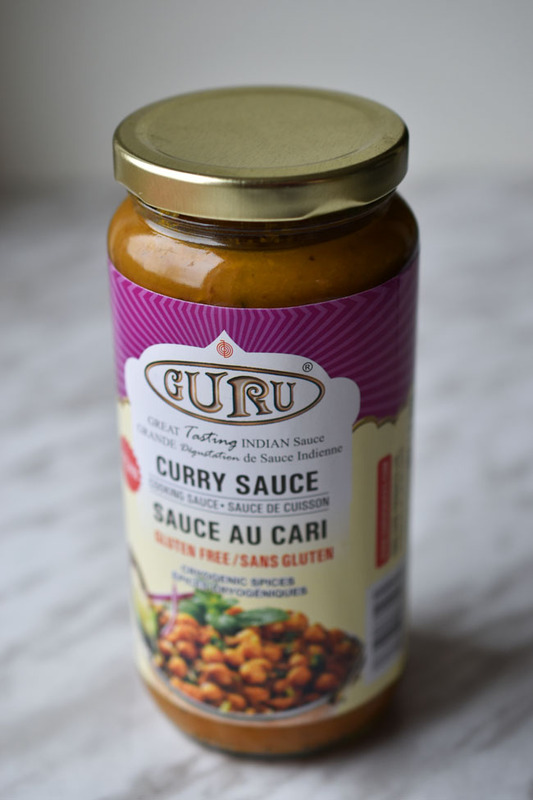 I bought the Guru Curry Sauce and cooked it with two cans of Eden Foods organic chickpeas (no BPA in the cans!) that night. The whole family really enjoyed it. And when the kids like something, Mom is happy! I want to buy the Butter Chicken sauce next. It's vegan and can be used over those Gardein faux cutlets I mentioned above. 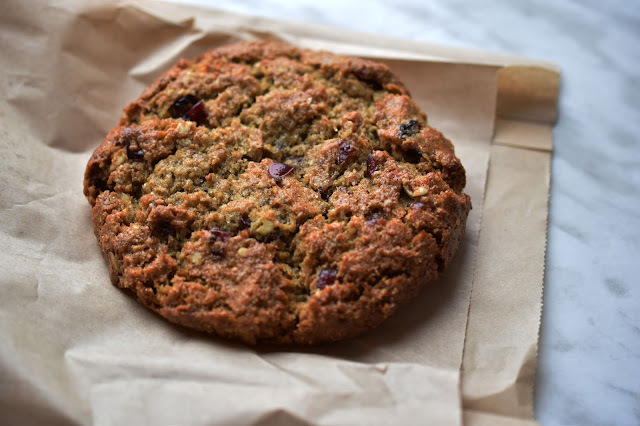 Whenever I'm at the health food store, I leave with some sort of treat from the cafe, often a Sweets from the Earth vegan cookie, like the oatmeal and dried cranberries yummy cookie above. 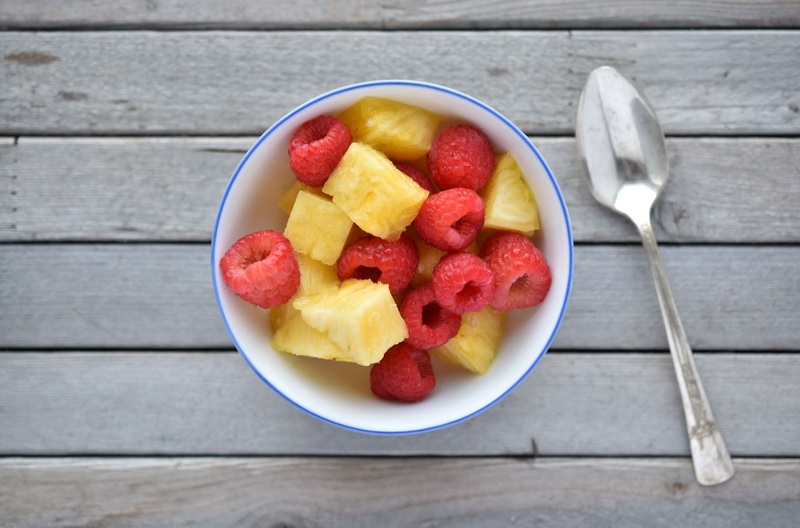 Not a favourite brand, but let's hear it for fresh fruit! Increasingly hard to buy affordably in winter, but nice to have. I had a breakfast of pineapple chunks and raspberries one day. Now for a look at a full day of eats. I had Nature's Path instant flax oatmeal for breakfast, topped with Veggemo veggie-based non-dairy beverage in original flavour. These Veggemo non-dairy beverages are new to me. The company kindly sent me a few varieties to sample. I was curious about how a vegetable-based vegan "milk" might taste. The thing is, it's not made with kale or broccoli or anything like that, so don't let the vegetable thing turn you off. Veggemo is made with a blend of pea protein, tapioca starch and potato starch, plus organic cane sugar and a few other ingredients. Veggemo is rich in calcium and Vitamin D and is an excellent source of B12. The vanilla variety is the sweetest - we used it with a dark chocolate cocoa mix to make hot chocolate and it lent a nice sweetness to the drink. The kids sampled it on its own and liked it too. 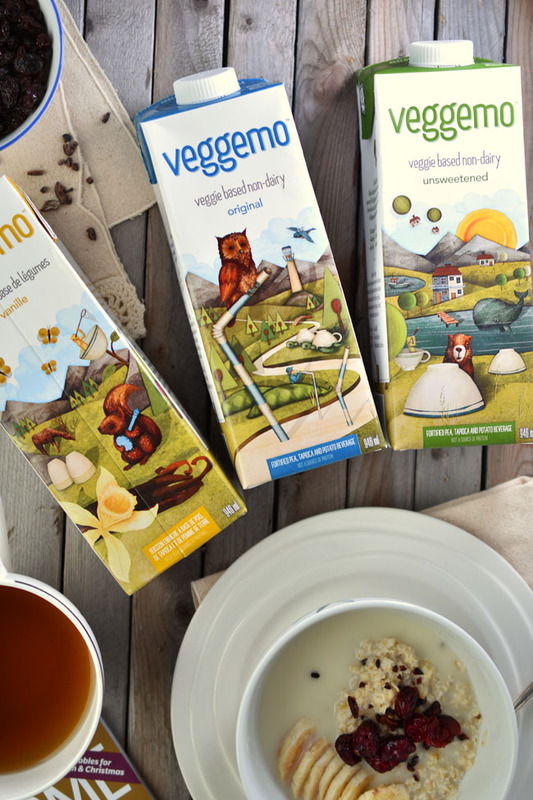 Veggemo also comes in unsweetened and original as well. The company is located in British Columbia. 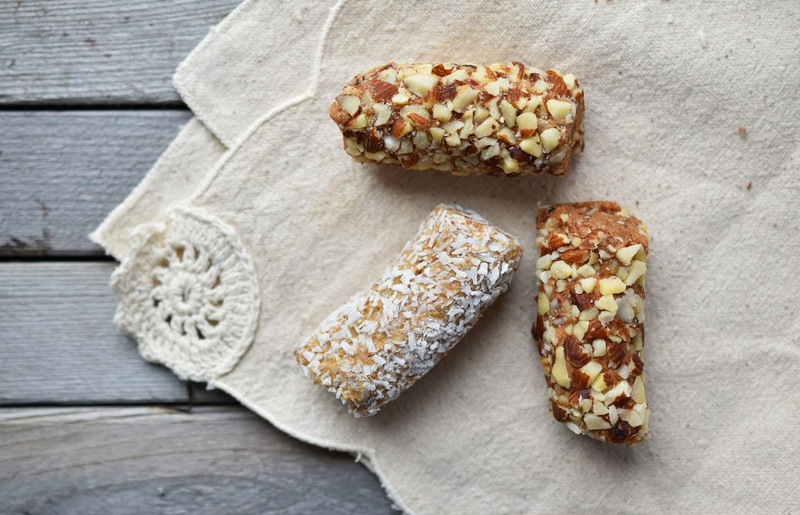 Mid-morning I snacked on coconut and almond date rolls from Natural Delights. They are a healthy snack any time you need a little pick-me-up. 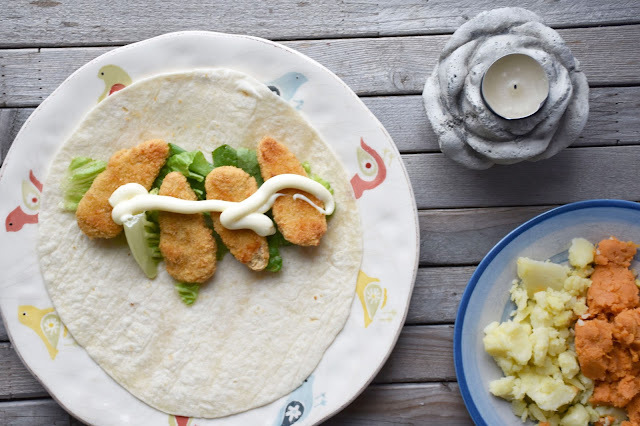 At lunch I cooked up those trusty President's Choice/Gardein meatless nuggets and put them on a wrap with lettuce and vegan mayo. I also had leftover smashed potatoes and mashed sweet potatoes. 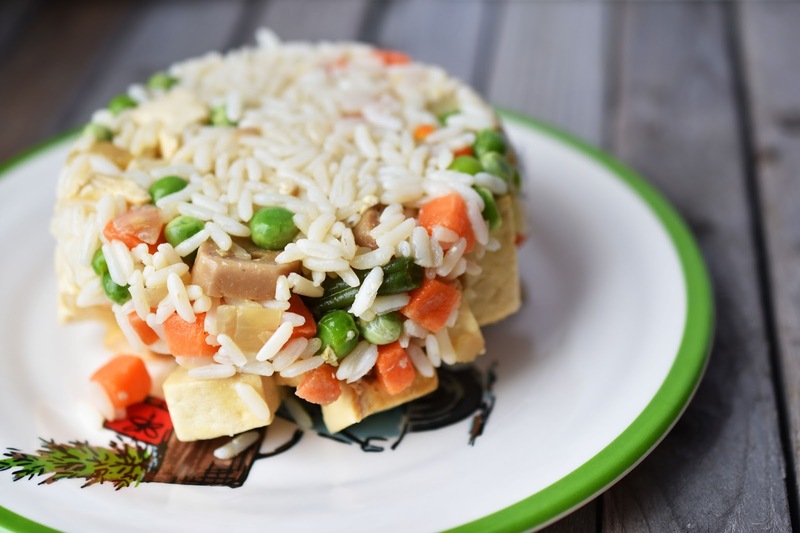 For dinner I made fried rice with extra-firm tofu chunks and slices of Yves vegan sausage. I'm not gonna lie - it was an effort to even make this easy meal. I have been doing a lot of writing, photography and blogging lately and it's taking a toll on my neck and back. I made this Vegan Candy Cane Fudge recently. It's supposed to be all safe in the freezer for Christmas but it hasn't quite made it. Guess I'll have to make more. Luckily this recipe is super easy and quick to make and requires few ingredients. Anyway, I snacked on a sweet piece of fudge in the evening. What are your fave veg-friendly products? Do you buy any of the ones I have mentioned? Your natural light photos are SO pretty! 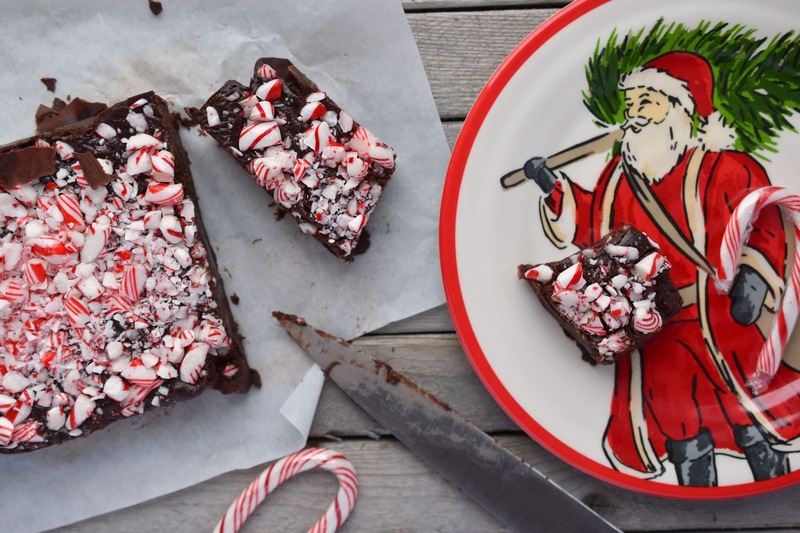 :) Vegan Candy Cane fudge sounds tasty. Great dinner ideas. Again this is super as I am just learning to cook vegetarian for my daughter. I am thinking how much more affordable this is too as the cost of meat is very expensive. Do you have any more meal ideas using other beans or lentils that are simple and easy to cook? And how much do the faux cutlets cost? Thank you! Definitely vegetarian meals can be affordable - especially soups and stews or big rice dishes. Be sure to browse the recipe tab at the top of the page for more ideas. I love lentils! The faux cutlets are around $12.99 for the big box at No Frills.